Dr. Elizabeth (Dixie) Pierson was one of the core founding members of the Western Bat Working Group. She was a member of the team that developed the Townsend’s big-eared bat Conservation Strategy in 1993 and 1994 that eventually led to the formation of the Western Bat Working Group in 1996. Dixie’s leadership promoted more effective bat conservation efforts across the western United States. She inspired and provided training and field experience to many students and agency biologists. 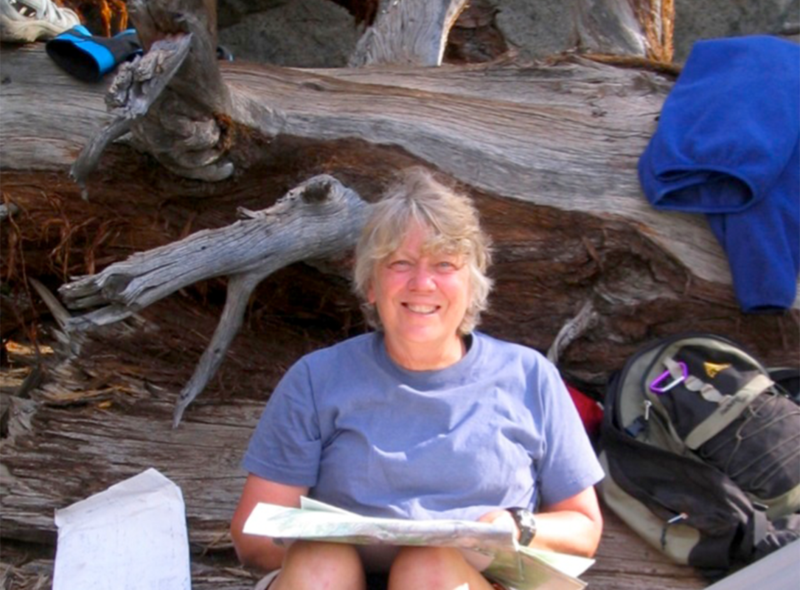 Following her death in 2014, the Dixie Pierson Memorial Fund was established by her husband, Dr. Bill Rainey, and colleagues at the Western Bat Working Group. Donations are now being accepted for 2019 Scholarship awards. The goal is to award two $500 awards prior to the biennial meeting of WBWG, which will next convene April 22-25, 2019 in Tulsa, Oklahoma. The goal of these awards is to defray travel costs and provide the opportunity for biologists to present their papers at the biennial meeting of the WBWG, where they can network with other biologists across western North America. Registration fees for the meeting will also be waived for the award participants. Proposals are now being accepted for the Dixie Pierson Scholarship Awards. Proposal application deadline is January 28, 2019 and the winning recipients will be announced by February 11, 2019, before the WBWG deadline for submission of abstracts on February 15, 2019. Prior recipients of the Bob Berry Scholarships are eligible to apply. Please limit proposals to 3 pages including a cover page with the title of the presentation, the applicant’s name, affiliation, and physical and email addresses; an abstract of the oral or poster presentation; and a narrative addressing the award criteria listed below. These should be submitted electronically by January 28, 2019 to Bill Rainey and Patricia Brown. Receipt will be acknowledged. and demonstrates financial need (conference attendance could be compromised without this award). The contents of the presentation will be distributed or made publicly available through publication/report. The 2019 Bob Berry Scholarship awards will be given at the biennial meeting of WBWG, which convenes April 22-25, 2019 in Tulsa, Oklahoma. The impetus behind the generous donations to this fund by members of the WBWG (including Dr. Patricia Brown-Berry) and the suppliers of bat research equipment, software and training is to perpetuate Bob’s legacy of assisting other bat biologists. Bob used his engineering and computer skills to refine the tools used for bat-related field work, and to help people to understand the different and changing technologies. 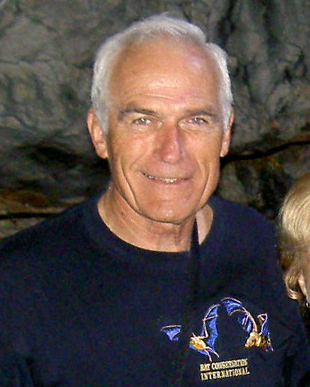 He worked best one-on-one and offered his expertise to many students and agency biologists until the time of his death in 2008. The goal of these awards is to facilitate research by providing current technology and training from the developers of the technology. Proposal submissions for the ‘Holohil Award,’ ‘Titley Electronics Award’ and the ‘Petterrson Elektronik and SonoBat Award 1’ are now closed. SonoBat 4 West and a Binary Acoustic Technology mini MIC ultrasonic microphone, donated by Joe Szewczak and Mark and Kim Jensen. An Echo Meter Touch and the Discover Bats! curriculum guide donated by Wildlife Acoustics. A M500 USB Microphone + Batsound Touch Software + SonoBat 4 West donated by Lars Pettersson and Joe Szewczak. $500 certificates towards registration at Bat Survey Solution’s weeklong training workshop in AZ, NV or KY. Two award certificates available for students, faculty, or professionals. Donated by Bat Survey Solutions. Proposals are now being accepted for the Bob Berry Scholarship Fund, with awards to be announced at the WBWG biennial conference in Tulsa, Oklahoma. The deadline for proposal submission for the four categories listed above will be April 5, 2019. You are not required to attend the WBWG meeting to be eligible for the award. Please limit proposals to 3 pages (including the information on the cover page below) and submit electronically to Dr. Pat Brown and Brad Phillips. Receipt will be acknowledged. Applications are welcome from individuals, government agencies and non-profit organizations to benefit bats within the western North American geographic area represented by the WBWG (Canada, Mexico, United States). An organization or individual should apply for only one award. Individuals associated with for-profit businesses should not apply unless the project is one that would be done separate from the jobs for which they are paid. and demonstrates a requirement for and understanding of the equipment by the applicant. Applicant must outline a clear plan for how the equipment/money will be used (i.e. the level of funding and/or requested equipment is appropriate for this study). Applicant must assure that results from this work will be distributed or made publicly available through publication/report. Applicant must convey project objectives clearly, demonstrating a sound understanding of his/her proposed project. Applicant must demonstrate the long-term benefits for bat conservation, specifically for western North American bats in the provinces or states (Canada, Mexico and the US) represented by the WBWG. Awardees will be expected to prepare a research report and poster or oral presentation for the 2021 WBWG meeting. Bonnie, the big brown bat, introduced thousands of adults and children to the wonderful world of bats through classes and programs given by Dr. Patricia Brown. She never tried to bite, and rarely emitted an irritation buzz. She also reached a larger audience through appearances on the Jay Leno Show, Nickelodeon and Beekman’s World. To honor Bonnie’s memory and continue her legacy in bat education, the ‘Bonnie the Bat Education Grant’ was established. This grant will help fund bat education themed projects. 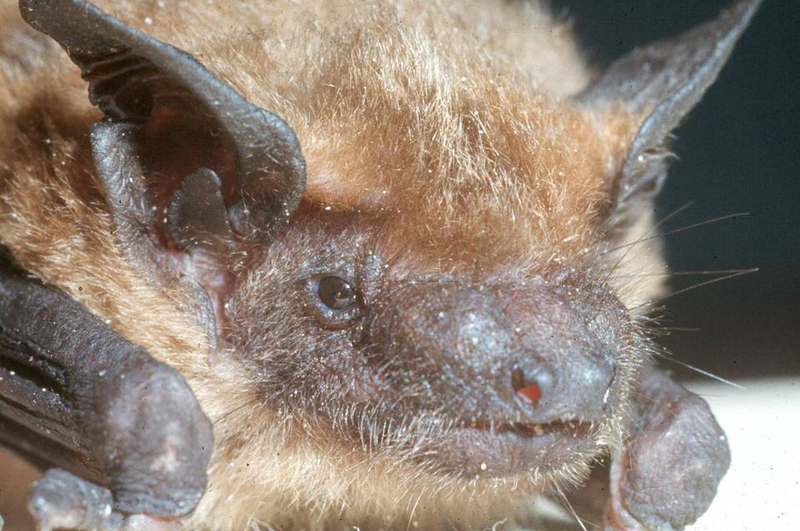 Proposals are now being accepted for the Bonnie the Bat Grant Awards. Proposal application deadline is March 15, 2019 and the winning recipients will be announced at the WBWG meeting in Tulsa. Project proposals need to explain how the money would be spent and show a matching contribution. After submission review, one selected proposal will be awarded $500 at the WBWG Biennial Meetings April 22-25 in Tulsa, Oklahoma. Please limit proposals to 2 pages including a cover page with the title of the project, the applicants name, affiliation, and physical and email addresses; and a narrative addressing the award criteria listed below. These should be submitted electronically by March 15, 2019 to Dr. Pat Brown and Brad Phillips. Receipt will be acknowledged. and the project is appropriate for the target audience. Preference will be given to projects that reach an “underserved” audience for bat conservation. The Board of the Central Coast Bat Survey (CCBS), in keeping with its mission to support and inform education programs relevant to the natural history of protected and declining species, is offering two scholarships to undergraduate students to attend the 2019 biennial meeting of the Western Bat Working Group (WBWG) in Tulsa, Oklahoma. Each scholarship will fund attendance at the week-long 2019 meetings in Tulsa and a one-year membership in the WBWG. Applicant/awardee must be a currently enrolled undergraduate majoring in a biological or technological science (e.g., natural history, ecology, wildlife management, (pre-) veterinary medicine, sound engineering, etc.). Preference will be given to students who have participated in volunteer field or laboratory research projects. and (1 paragraph, optional) Description of a volunteer science project; the advisor’s or supervisor’s name and contact email address. and must be submitted electronically to Bill Haas, CCBS Director. We will acknowledge receipt of application via return email. Acceptable file formats are Microsoft (MS) Word and/or portable digital (PDF). Unsuccessful applicants for other biennial meeting scholarships are eligible for the CCBS awards.